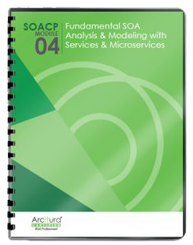 A capability may not be able to fulfill its processing requirements without adding logic that resides outside of its service’s functional context, thereby compromising the integrity of the service context and risking service denormalization. 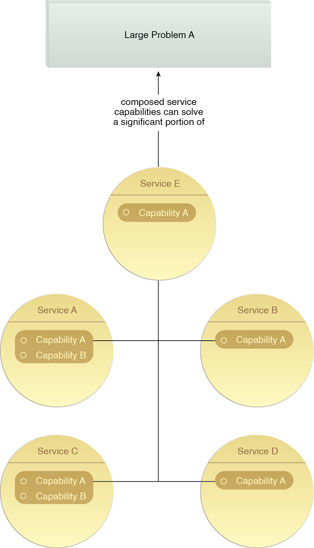 When requiring access to logic that falls outside of a service’s boundary, capability logic within the service is designed to compose one or more capabilities in other services. The individual capabilities of services can be aggregated to collectively help solve the large problem from which they were originally derived.